Telemarketing man Mason can appear a bit odd but does this make him the killer he believes himself to be or is he just imagining that he has blood on his hands? Director Adam Green is a regular at London's Frightfest. He is personable, funny and the crowd loves him. His most successful movie to date is arguably Hatchet an enjoyable splat flick that pulls off that mean feat of making you laugh whilst also dolloping out the gore. Spiral was his next project and after premiering back in 2007 it pretty much disappeared. That the movie has reappeared at all is probably down to Spiral's lead Joel David Moore having appeared in a rather successful flick called Avatar. 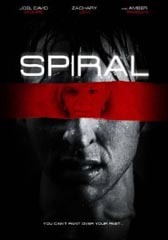 No sooner was James Cameron's latest bringing in big bucks than Universal were dusting off Spiral hoping some audience recognition with the actor will get people buying or renting it. There are good reasons for why Spiral disappeared. 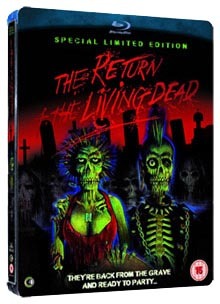 Up until the 'shock' ending, this is a rather hard to stay with kind of film. Green may be a dab hand at comedy horror but his attempt at slow-burning tension just hammers home tedium instead. Fair game to Green for looking to broaden his range and it's true, that the blame doesn't entirely sit with him given that Joel David Moore co-directs with him. That's not all Moore also co-wrote Spiral and produced it too so if anyone is to blame for this bore of a flick then it's him. 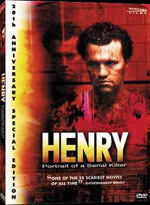 Spiral opens with Mason (Moore) making a late night phone call to his only friend in the world Berkeley, his boss at the telemarketing firm he works at. He is experiencing a panic attack fearing that he has done something seriously wrong, his hands covered in what looks to be blood. Berkeley puts his mind at ease and Mason appears to move on with his life. One day he gets chatting to a female co-worker Amber (Amber Tamblyn) who takes a shine on our loner lead. She begins to pose for him having discovered for his flair for painting and sketching and slowly they become more than just artist and muse. In doing so Amber gets to know the real Mason and what really does happen to those girls in the other sketch books she finds, all with the last page torn out. Fans of Spiral have likened it to Hitchcock. Have these same people actually seen a movie made by Hitchcock? In the big guy's hands many a movie was turned into a masterpiece of suspense and I'm sure someone of his skills would have got this baby to work too. Spiral has no suspense. It is all very obvious from the start and given that Moore is the only person that can act in the picture he's pretty much left floundering like a fish out of water about to be gutted. It's to be commended that Green and Moore looked to do something different to the success their shared with Hatchet but neither as yet are accomplished enough filmmakers to make this thriller anything but below par. Disappointing.